This problem will be fixed from July 3 at 00:00:01 UTC with some changes in the ROS protocol. You only have to renove your old ROS version. 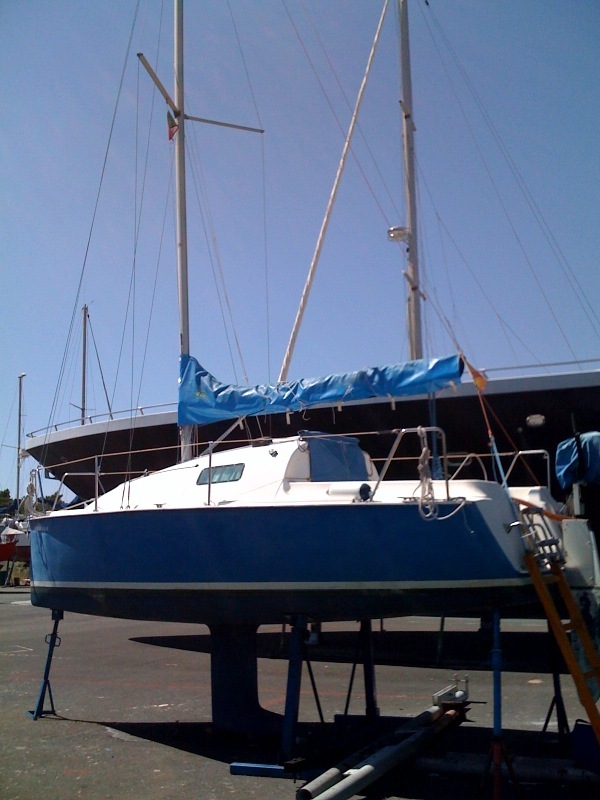 First contact from a Maritime Mobile using ROS. 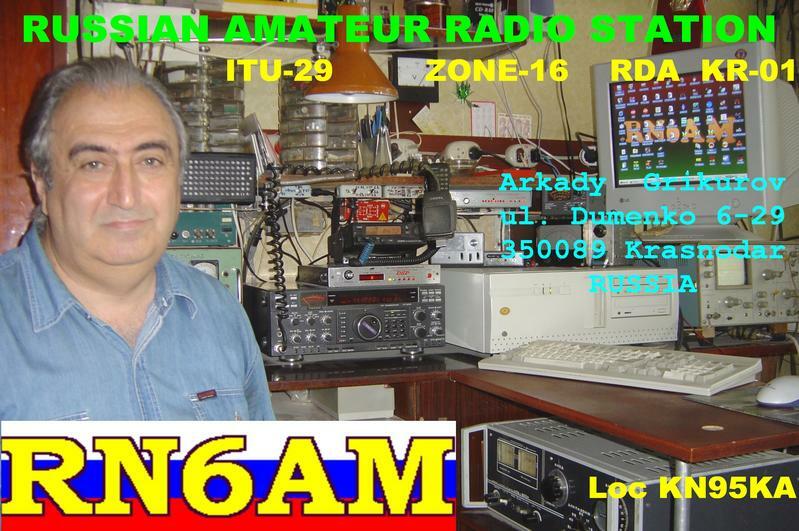 He has problems with ground plane in his antenna and was using only 7 watts with ROS8/2250. Now ROS USer Guide also in French. 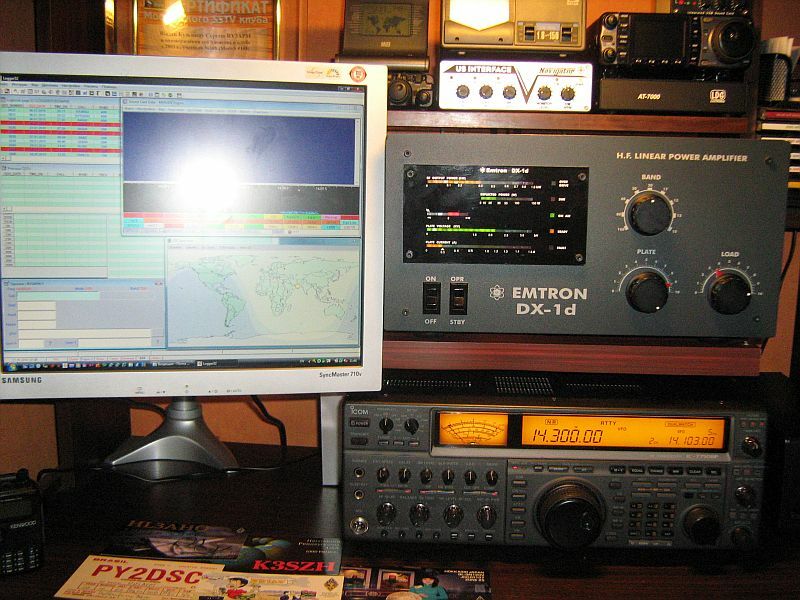 Manuel YV5MM, miembro de RadioClub Venezolano, ha creado este blog en Español con QSL’s y contactos con el Modo ROS. Great QSO reported by Dave, G3ZXX. 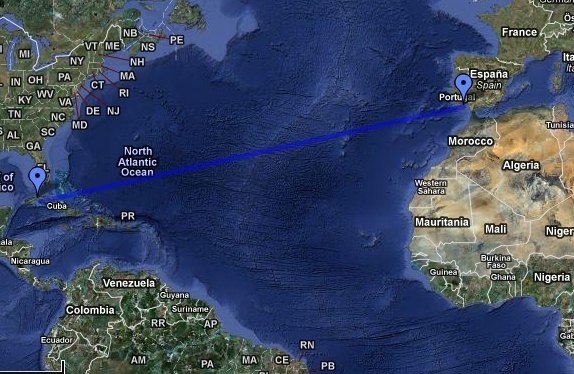 9035 km between England and South Africa (Ben ZS6ANZ) on 10144. Congratulations! Just thought that it might be NEWS worthy, but I’ve just had a QSO with Ben ZS6ANZ, on 10144. 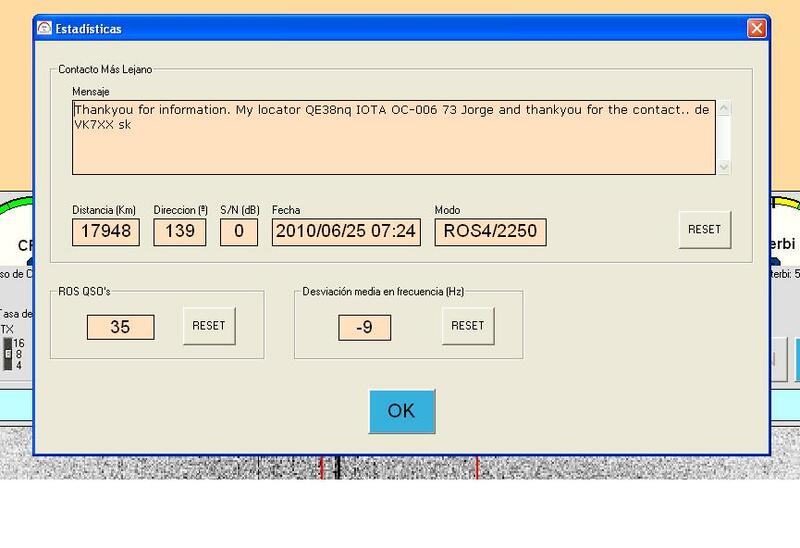 Contact was initially established using 8/500 but we had to change to 4/500 to complete the QSO. New interferences 🙂 of John VK7XX in Europe. This time with Jorge EA8TL. ¡¡17.948 kms!! with ROS4. 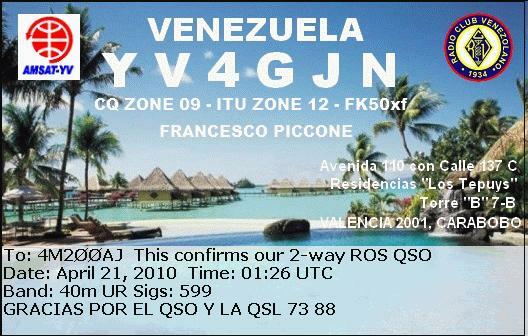 Congratulations to John and Jorge for this Great QSO. 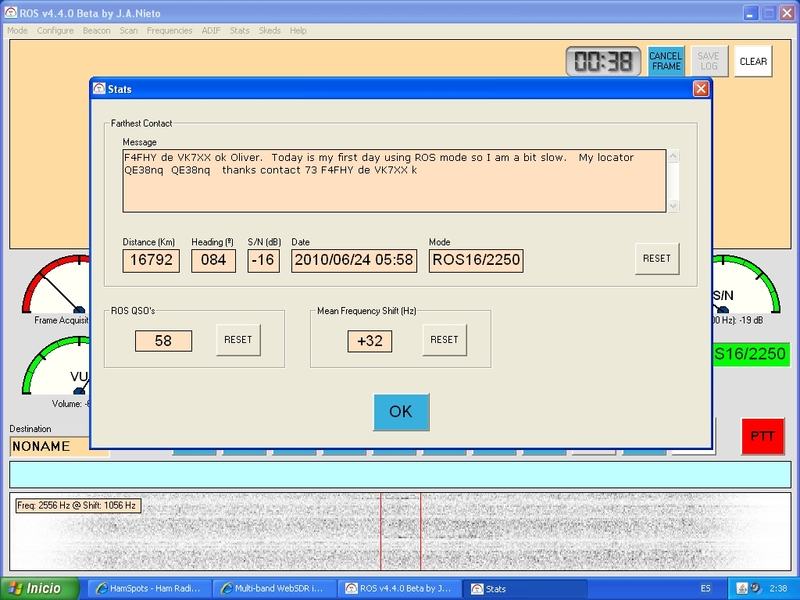 This message was intercepted at Twente SDR (long wire antenna) from John VK7XX to F4FHY on 20 meters and ¡¡16 bauds!!. 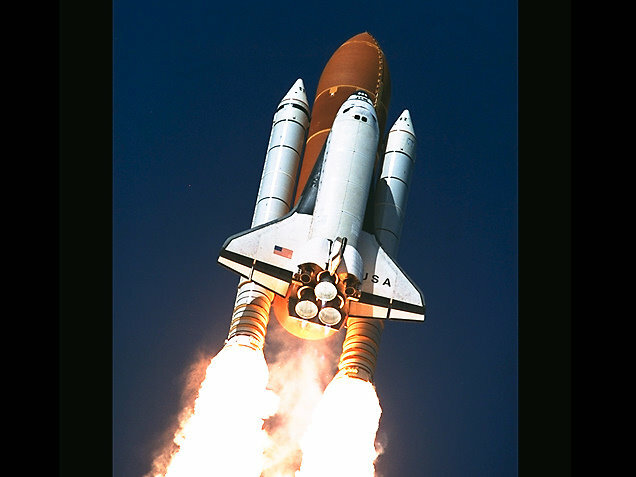 Now you can send a QSL or another Photo in the Email Signal Report. You have to attach the Internet Link of your Photo in “Email menu”. The image will be attached into Email Report.